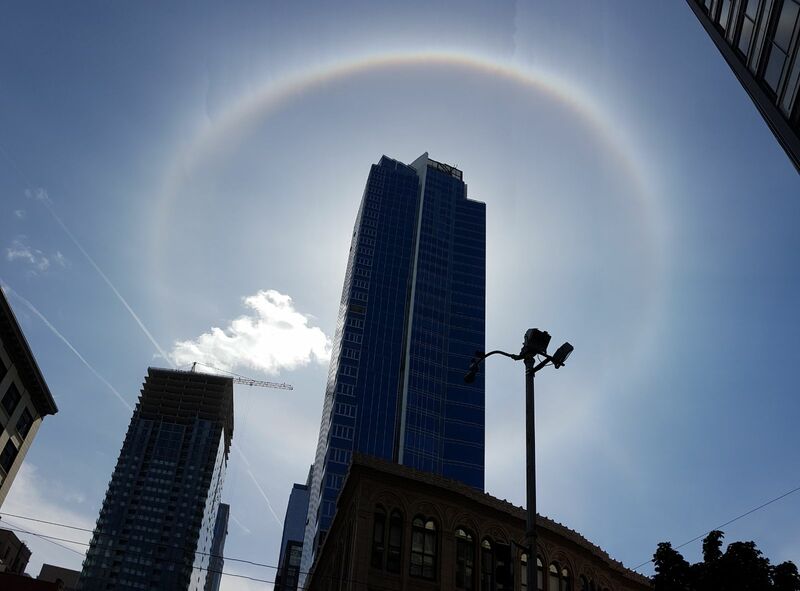 This circumsolar halo was seen in Seattle, USA, with a skyscraper occulting the Sun. Click on the image to get a closer view. 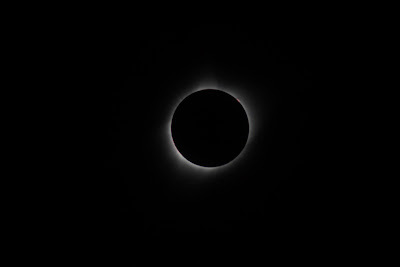 A tripod mounted Panasonic Lumix DMC-FZ72 bridge camera fitted with a Baader solar filter, was used to capture single images in a cloudy situation. 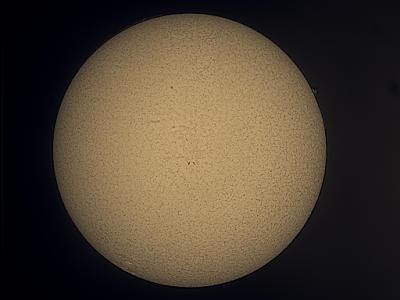 First, the camera was set to automatic and maximum zoom to capture a full disk image showing AR2671 and a new sunspot group coming around the limb at 19:10 and at 20:07 the maximum partial eclipse was similarly imaged through a gap in the clouds. 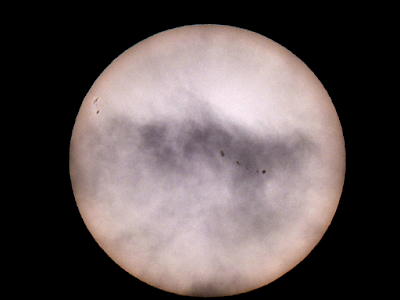 Clouds still partially obscured both images. The location was Barry in South Wales where the forecast was favourable. 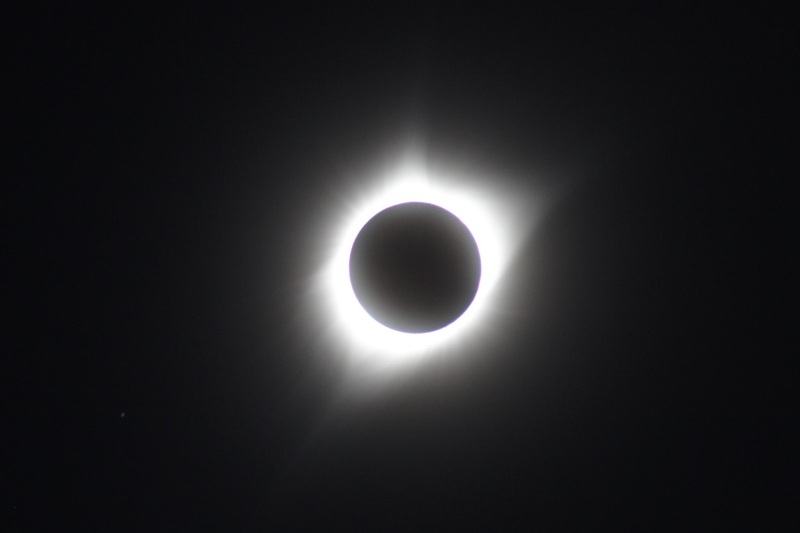 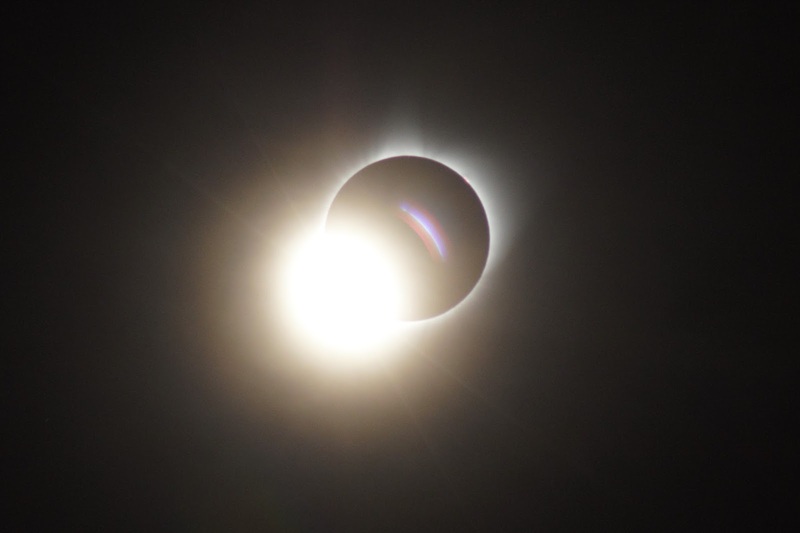 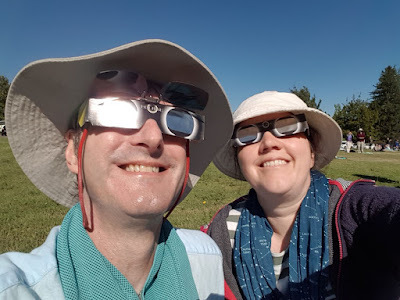 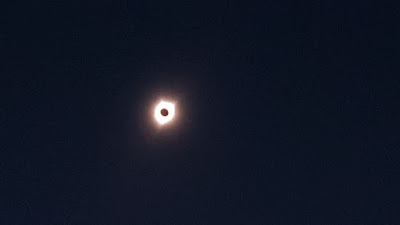 In the event, the forecast was poor but the eclipse was still seen. 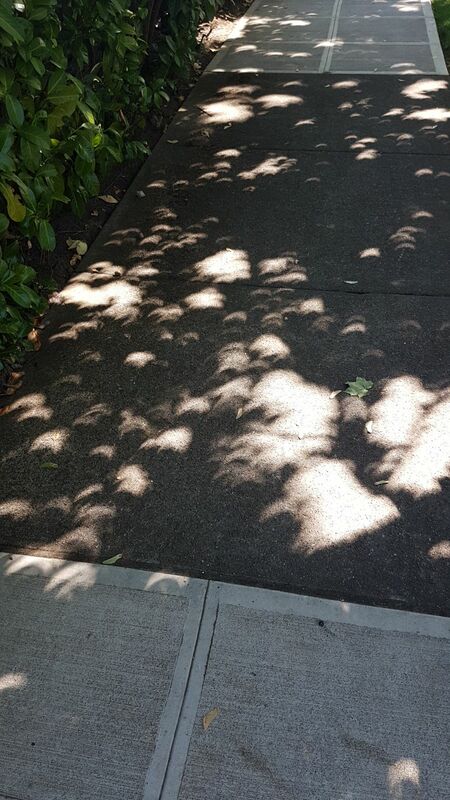 Click on an image to get a closer view.